Seriously awesome. I have almost nothing negative to say against it, other than the total bastardization of Tom Felton in this movie. The story covers all the important arcs of set-up, development, and final uprising in perfect length, without any section feeling either too lengthy or too abrupt. 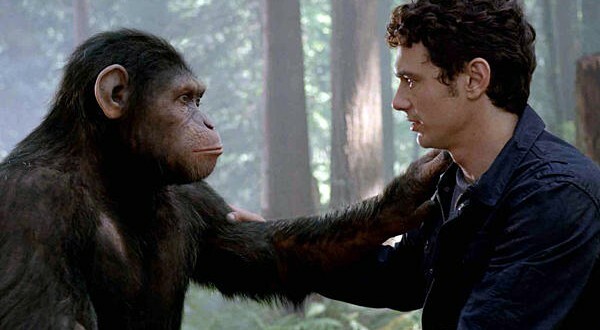 For me, I was hesitant to watch this because I knew parts of it would be painful, aka as Caesar learns about the inherent evilness of human beings and suffers misunderstanding from the neighbors and abuse from Tom's character. 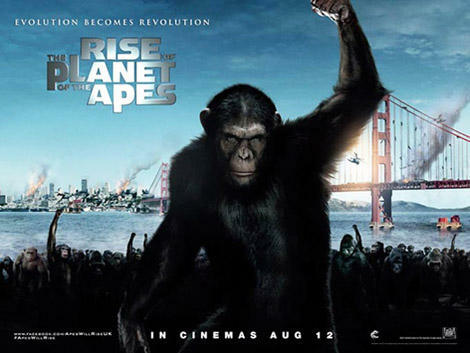 However, while these aspects are certainly prominent, they are far overshadowed by the brilliant climactic battle on Golden Gate Bridge between humans and apes, and the surprisingly realistic set-up for everything. The tragedy is outweighed by the wonderful action and hopeful conclusion, as well as by great acting from Franco, Lithgow, and Serkis. This is also one of the few films I've seen to really give justice to the setting in which everything is filmed. SF has never looked more majestic and scenic than in here, and despite not being an outdoorsy person I really want to look up what park Caesar and Franco frequented so I can see the redwoods in life. It's beautifully filmed and really manages to balance the action with the emotional connection. Solid A.